Words cannot begin to describe the success that Bruin Harmony has had this year. As we say we say farewell to three of our dearest members, we remember the moments of fun, laughter, tears, and hard work we've all put in to making this year a success. With winning our category in this year's Spring Sing and to inducting some of the most dedicated and hard working members of Bruin Harmony, we've already won by becoming the strongest family we can become. We thank everyone - friends, family, and patrons - who have helped make this year successful and we recognize our colleagues who have all contributed to our success. 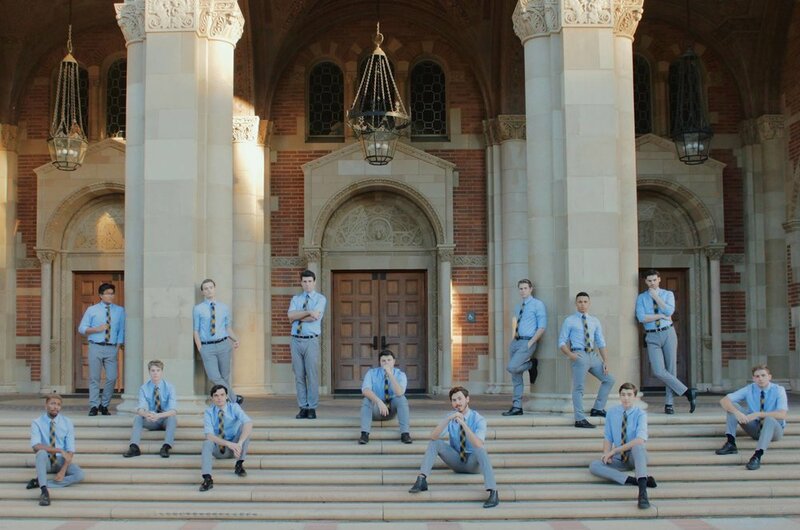 Have you always dreamed of being in all-male a cappella group, singing to hundreds and thousands of people? Ever catch yourself humming a tune and thinking, "Hey! That sounds pretty good!" Well, you're in luck cause we're searching for some new members! All we ask is for you to bring a song of your choice -- a verse and a chorus of any song you'd like -- and we'll get to know ya a bit! Simple right? Trust me, it doesn't hurt the first time! We're nice people! Sign up here to reserve a time slot! Hurry now cause they're running out fast! our newest album is finally here! I know, right? We can't believe it either! Our newest album, Back in Business, is finally live and up on iTunes, Spotify, and Google Play - and guess what? It's free! We can't thank the patrons, friends, and family that have all helped us make this project successful. Most importantly, we want to thank everyone who has continually given their support in all our shows, gigs, and other shenanigans! 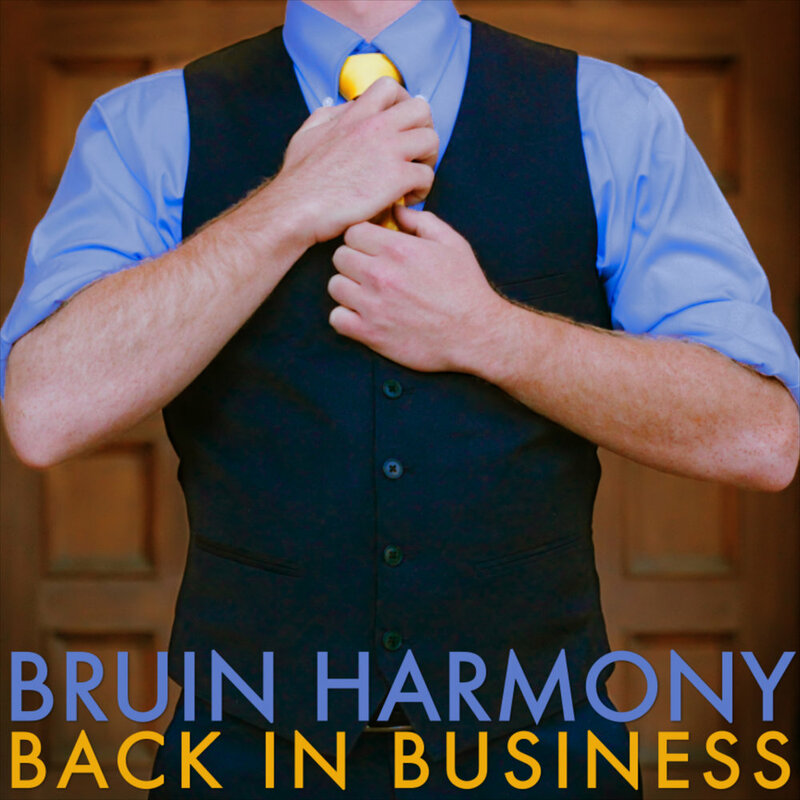 Bruin Harmony is back for more! We're so pleased to announce our 5 newest members of Bruin Harmony! These guys guys are insanely talented and we're incredibly lucky to have them in our group! The time has come again! The merry moments of singing dude-on-dude-on-man-on-dude has come! 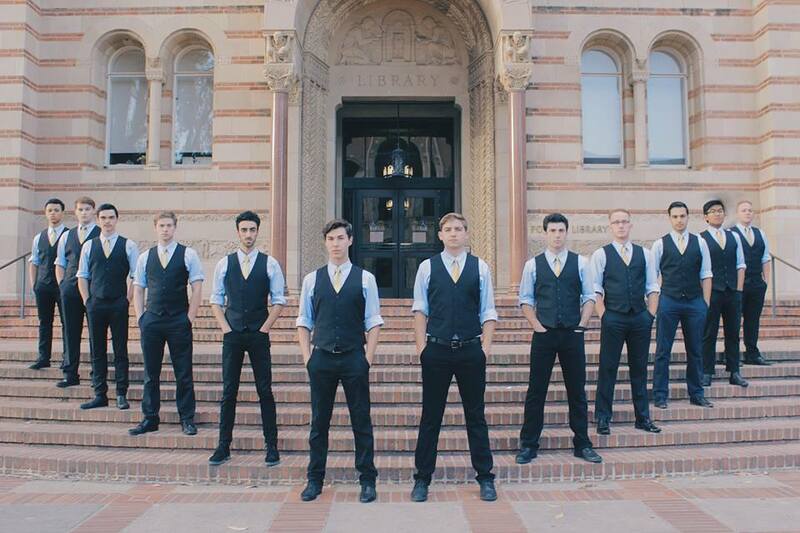 You too can now be a part of UCLA's premier all-male a cappella group! What does this entail, you ask? A simple task of bringing a short cut to your audition time (a verse and a chorus of a song of your choosing), some scales and vocal exercises we'll ask you to sing, and a few questions to get to know you a little better! Sounds easy, right? Click here to reserve yourself a time slot, and we'll see you at our auditions!